We take great care in the craftmanship of our leather slippers. 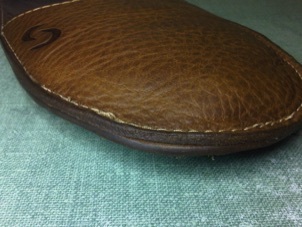 In the event you should received a faulty pair, at any time, we will replace or repair them at our expense. 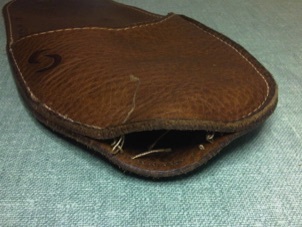 This warranty is void if you use the slippers in a way which causes damage to it beyond normal wear and tear. If you believe that your slippers contains a manufacturing fault, please e-mail us with a few pictures for assessment before sending them. Please include your contact information, your Name and an email address with your item, and a note indicating what size you’d prefer to exchange for. If for any reason you're not satisfied with your new leather slippers will refund them for the full amount, less our original shipping cost. Please note that we do not refund the cost of shipping. The customer is responsible for all shipping, insurance and duty charges for slippers being sent back to Cormia Design for exchange. Cormia Design will only pay the shipping charges to ship to the customer (via Regular Post) on slippers exchanged as a result of incorrect sizing. Our slippers are shipped with Canada Post as a light packet. Tracked Packet available with extra fees. If you want this service contact us before shipping. 1. If your slippers get wet, always dry them at room temperature - never with direct heat. 2. Cleaning your slippers with a mixture of one part vinegar to three parts water is a perfect natural cleaner. 3. To keep your slippers in good shape and pliable, you should dress the leather with suitable treatment after cleaning. 4. The more you wear them, the better they will look and feel. All of your information is collected thru PayPal and will not be share, sold, given to any persons, company, business, corporation or any other party. Your information will only be and stay on PayPal. The only information we're using is your mailling address and it will be use for shipping your slippers to your location.